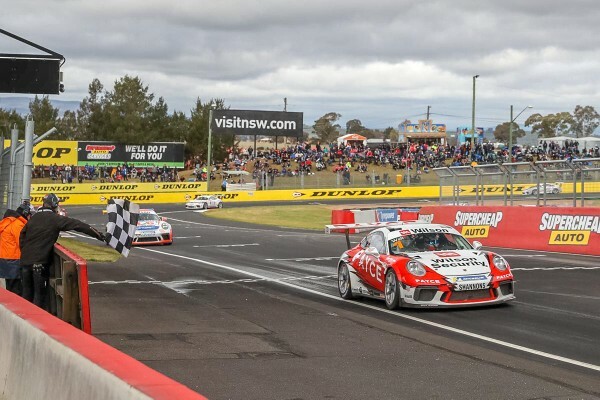 Reigning champion David Wall has successfully navigated a chaotic opening Porsche Wilson Security Carrera Cup Australia race at Bathurst to take his second race win of the season, while TAG Heuer Pro-Am race victory secured Stephen Grove the Pro-Am class Endurance Cup title. The action-filled race started with drama on the opening corner, with title contender Dylan O’Keeffe dropping to the rear of the field after contact with Peter Major. Then, later in the opening lap, leaders James Moffat and Dale Wood collided into the high-speed right-hand bend entering The Chase, ending with Wood stranded in the gravel – and ultimately out of the race – and Moffat, capitalising on the safety car period to recover Wood’s car, pitting to change a tyre and re-joining the race on the lead lap. With the early leaders out of contention, teammates Michael Almond and Jordan Love claimed the lead. Several off-track excursions dropped Love behind Wall and series leader Jaxon Evans, while Almond’s race ended after heavy contact with the turn four wall while Wall was pressuring him for the lead. The safety car was called for the second time to recover the cars of Almond and Roger Lago, who was unable to avoid Almond’s stationary car. Once the race resumed, Wall held the lead to the chequered flag to take his eighth Carrera Cup career win. “I’m very happy with the race win. We put our head down and the car was mega. This new second-generation 911 GT3 Cup car is just sensational, you have a smile on your face the whole time you drive it around the mountain. 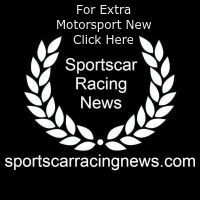 Our car was really strong across the top and we’ll tune it up to make it a little bit stronger in areas where I think we can improve,” said Wall. Evans placed second after starting eighth on the grid and, following a difficult race for O’Keeffe, extended his outright points lead to 93 with five races remaining. Love placed third from Cameron Hill, Glen Wood, Nick McBride, Moffat, Adam Garwood and O’Keeffe in ninth. The eventful race one has set the scene for a tremendous final race for the Endurance Cup in Gold Coast with the top four Pro-ranked drivers separated by just 15 points. While the Endurance Cup Pro battle intensified after Friday’s race, the opposite can be said for TAG Heuer Pro-Am with the race one winner Grove establishing an unassailable lead in the Endurance Cup points while also recapturing the Pro-Am season standings lead. Grove had a sensational race one start, moving to the class lead and eighth outright by the end of the opening lap. Grove’s closest rival, class pole-sitter Adrian Flack, spun at the top of Conrod Straight after contact with Lago, before Lago’s race ended six laps later after contact with Almond. Grove ultimately finished just 0.3secs ahead of Tim Miles, who took a class clean sweep at Mount Panorama last year, with Anthony Gilbertson in third. Debutant Dave Stevens finished fourth in class from Dean Cook, Marc Cini, Indiran Padayachee, Graham Williams and Flack. The class win not only handed Grove the Endurance Cup title, but also a 36-point lead over Lago in the TAG Heuer Pro-Am season standings. “We got a good start, which was really important here, and I wasn’t really sure what to expect across the top because we hadn’t done a dry run after a wet practice and qualifying. We pushed on pretty hard but the other Pro-Am drivers kept on coming. I’d gap them, then there would be a safety car, then I would gap them, then they would come back; it was really hard and a really good win,” said Grove.